What do you do when you have a slight hitch in your giddy-up? 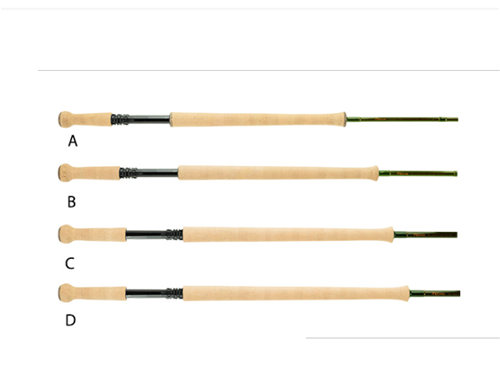 If you are a two-hand fly fisherman who owns their own rod company you simply create a family of rods that help you cast better. The TR (Tim Rajeff) series of rods have a little more oomph in the bottom half to keep up with his slightly more abrupt power application. The ECHO TR rods will throw tighter loops farther than you ever dreamed possible. Load them up with a Skagit Compact head and they slow down enough to make fishing sink tips a breeze. When your friends ask to borrow your ECHO TR, don't do it, you might not get it back. This is my first spey rod and I love it. I know some say "you must go through quantity before you know quality", but I lucked out with this rod. It is smooth and has the power to throw a Cornish game on the Skagit if you wish. I've had professional guides use my rod on trips and they honestly enjoyed it. Watching a true pro fling flies with this spey rod is like watching a skilled surgeon perform. Thank you Mr. Rajeff for creating this fine rod, it is everything I need.